Home > Updates > EECP for Ischemic Heart Disease | call: 9310145010 for Free ConsultationEECP/ECP treatment in DELHI | CABG treatment | EECP therapy benefits | EECP near me |EECP Treatment in DELHI | Ischemic Heart Disease | EECP Doctor in DELHI | EECP Center in DELHI | EECP Therapy in DELHI | EECP Therapy centers in DELHI |EECP for Ischemic Heart Disease /Enhanced External Counterpulsation (EECP) EECP / ECP stand for Enhanced External Counter-Pulsation is a safe and non-invasive, outpatient therapy. That focuses on increasing blood flow to the heart. EECP may help reroute blood around narrowed or blocked arteries that are not supplying sufficient blood flow to the heart. It is an outpatient procedure.EECP is a considerable segment of patients with CAD are not amenable to standard revascularization procedures, such as angioplasty and CABG, because of unsuitable coronary anatomy, multiple previous revascularization attempts, age, additional co-morbid conditions, or patient preference. Such difficult cases require physicians to entertain other options. For those patients in whom repeat (or initial) revascularization procedures are not appropriate, and in whom aggressive medical therapy fails to reduce angina pain, the search for additional therapeutic options continues. New treatment modalities, which are at various stages of clinical evaluation, include minimally invasive bypass surgery, spinal cord stimulation, transcutaneous electrical nerve stimulation, trans-myocardial laser revascularization, and EECP. Of these modalities, EECP is the safe and non-invasive or outpatient treatment and traumatic technique for which clinical anti-ischemic improvements have been shown. 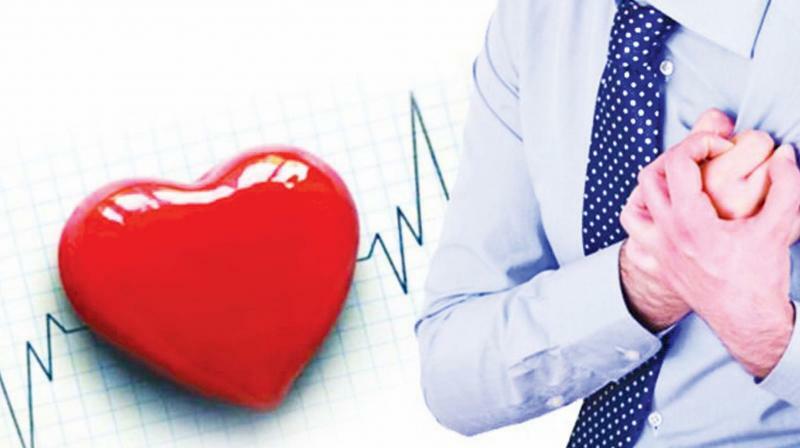 EECP for Ischemic Heart Disease | call: 9310145010 for Free Consultation EECP/ECP treatment in DELHI | CABG treatment | EECP therapy benefits | EECP near me |EECP Treatment in DELHI | Ischemic Heart Disease | EECP Doctor in DELHI | EECP Center in DELHI | EECP Therapy in DELHI | EECP Therapy centers in DELHI | EECP for Ischemic Heart Disease /Enhanced External Counterpulsation (EECP) EECP / ECP stand for Enhanced External Counter-Pulsation is a safe and non-invasive, outpatient therapy. That focuses on increasing blood flow to the heart. EECP may help reroute blood around narrowed or blocked arteries that are not supplying sufficient blood flow to the heart. It is an outpatient procedure. EECP is a considerable segment of patients with CAD are not amenable to standard revascularization procedures, such as angioplasty and CABG, because of unsuitable coronary anatomy, multiple previous revascularization attempts, age, additional co-morbid conditions, or patient preference. Such difficult cases require physicians to entertain other options. For those patients in whom repeat (or initial) revascularization procedures are not appropriate, and in whom aggressive medical therapy fails to reduce angina pain, the search for additional therapeutic options continues. New treatment modalities, which are at various stages of clinical evaluation, include minimally invasive bypass surgery, spinal cord stimulation, transcutaneous electrical nerve stimulation, trans-myocardial laser revascularization, and EECP. Of these modalities, EECP is the safe and non-invasive or outpatient treatment and traumatic technique for which clinical anti-ischemic improvements have been shown.